Heading into Phoenix, everybody and their brother was positive Kevin Harvick was going to stomp the competition into submission and make a statement about his position as the unquestioned favorite heading into Homestead. Someone forgot to tell Kyle Busch as the Joe Gibbs Racing driver took advantage of mistakes by nearly every driver in the Round of 8, including himself, and ran off with the victory at Phoenix to lock into Homestead and sit in a tie with Harvick for most in the series. Harvick held on and pointed his way into the finals along with Martin Truex Jr. Chaos and pandemonium ruled the day in Phoenix from near the end of the first stage until the checkered flag flew. Harvick took the pole and dominated the first stage until three laps to go when he cut a left front tire and was forced to the pits. Chase Elliott grabbed the lead after Harvick’s trouble and claimed the stage victory. Harvick was penalized for pitting with the pits closed and was forced to restart at the end of the longest line after the stage caution. When the race went back to green, Kurt Busch grabbed the top spot and led for 52 laps until Clint Bowyer cut a left rear and ended his day and his title hopes. Coming to the pits, Busch passed the pace car on pit road, which is against the rules and was held on pit road for a lap. Truex took the lead during the caution and held it until three laps after the restart when Kyle Busch grabbed the lead for the first of three times during the day. Busch held it for 81 laps which included the end of stage two. The final stage was filled with chaos, including six cautions, two of which evolved into red flags. Elliott pried the lead away from Busch on lap 225 and held it for five laps until a caution flew for a spin by Tanner Berryhill. Brad Keselowski took the lead under the caution and hung onto it into the next caution for a spin by David Ragan. Truex was credited with leading one lap under that caution and then Keselowski led for another 20 laps until Ricky Stenhouse Jr. lost a tire and had a huge impact with the wall. The resulting mess caused a red flag for nearly 11 minutes. Erik Jones led for a couple of laps during the caution and when the race went back to green, but it was quickly stopped again when a huge melee on the restart resulted in a caution that included the end of the title hopes for Kurt Busch and Elliott as Busch bounced off of Denny Hamlin, who hit Busch up into the wall off of Turn 2. Fortunately for Truex, he managed to thread the needle through the wreck and keep his title hopes alive. Busch regained the lead after that caution, losing it for one lap under the second caution that resulted in a red flag of the day when Alex Bowman blew a motor and oiled down the track. Ryan Newman was credited with leading one lap under that caution. Busch retook the lead, held onto it after a caution for a second Berryhill spin and stamped himself as a favorite for the title. There were times throughout the race where Kurt Busch and Elliott both looked like they were going to advance to the finals. Every driver except Truex had some kind of penalty during the race that put them in an adverse position. When it was all said and done, the three drivers that everyone assumed would advance did. You now have the three drivers with the most wins and Joey Logano headed to Homestead with a chance at the title. While Harvick didn’t win they were again the fastest car until the flat tire. The resulting suspension damage seemed to hurt the car for the remainder of the race. In the end, Harvick and Busch are your two favorites in Homestead but anyone can win the title depending on how the events unfold next Sunday. Harvick was docked 40 points after last weekend’s race and lost the automatic lock-in to the championship in Homestead-Miami thanks to a spoiler that was not approved by NASCAR. The spoilers used on the cars, similar to the roof flaps and other parts, are required to be from a specific manufacturer. Apparently, the one on Harvick’s car was not from that supplier and it was offset slightly to the right, which offered extra downforce to the car. Cheating is defined different ways by different people, but using a part that you know is not the required part for the car is blatant and it is surprising NASCAR’s penalty was seemingly light. We constantly hear people bemoan the fact that someone has talent but doesn’t get a shot. There is a constant debate about whether Jeffrey Earnhardt has talent or not. He has a pretty strong and vocal fan base that believes he does. 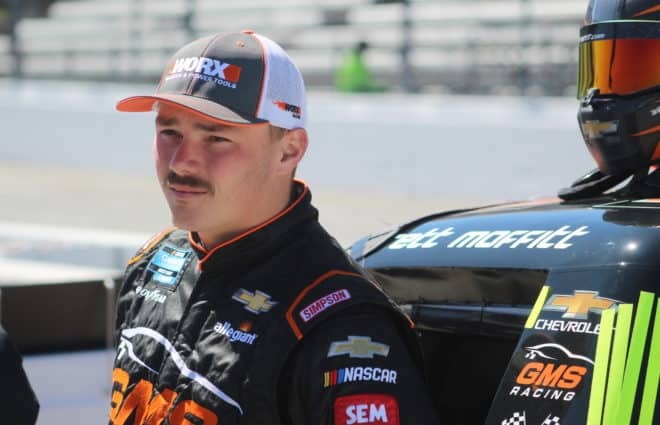 He is going to have a chance to prove it in the XFINITY series in 2019. Earnhardt will be running nine races for Joe Gibbs Racing next season with Xtreme Concepts on the hood. The JGR XFINITY cars are some of the best in the garage and this will be Earnhardt’s first chance to race vehicles with a legitimate chance to win races. NASCAR has made an offer to buy the remainder of the outstanding shares of International Speedway Corporation. ISC is the independent arm of NASCAR that owns race tracks where a good portion of the NASCAR national touring series races are contested. 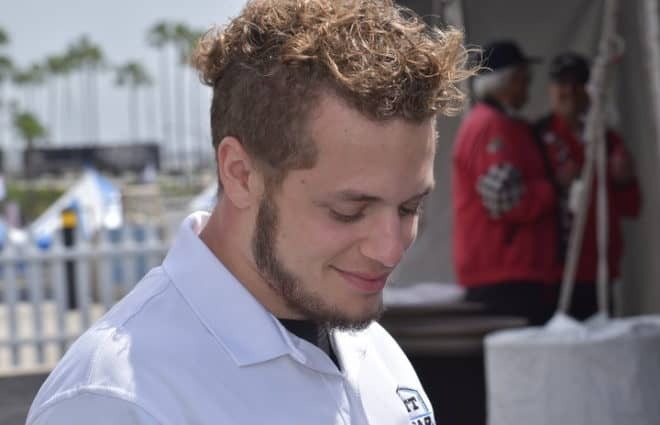 Jim France is of the opinion that this move will better position the company for future success, having a unified entity managing the racing effort from the sanctioning body and the track management sides. It is interesting as to whether that is truly the case or if the France family thinks combining everything under one umbrella will make it a more attractive property than trying to sell the sanctioning body without the racetrack properties. Speaking of drivers getting a shot in good equipment, Ross Chastain is going to get that dream shot next season. After showing so strongly in the No. 42 for Chip Ganassi Racing Chevrolet in 2018, Chastain will be running the full year for the organization in 2019. DC Solar has taken a liking to Chastain and, as a result, is going to back him for the full season next year. Expectations will be extremely high for his 2019 campaign, but he’s proven that he has the ability. Now he just has to deliver. In news that was a shock to no one, Truex and his crew chief Cole Pearn will be moving to JGR next season. In a less anticipated move, Tim Packman has been named the president of Memphis International Raceway. The former head of communications for Richard Childress Racing and current president of Lancaster National Speedway was the short track promoter of the year in 2016 and 2017. Kurt Busch was given a new lease on his title hopes with the penalties assessed on the No. 4 team after Texas. During the race, especially after Harvick’s flat tire, Busch was generally the fastest car on the track. It took him a while to overcome his self-imposed penalty for passing the pace car, but he was poised to take the lead and try and win the race. Unfortunately for him, Hamlin bounced him off of the outside wall and ultimately lost his cool, taking out Hamlin and Elliott during the incident. Busch was about to give himself a shot at a second title when it was taken away by someone else doing something stupid. That has to sting. Elliott was another driver who had a legitimate shot at winning the title, coming in with momentum from winning three races this season and leading the race early. Unfortunately for Elliott, he paid the price for Hamlin and Busch both making mental mistakes that compounded into the side of his car being ripped off and his title hopes going down the drain with it. Elliott will most likely contend for many titles in the coming years, but this disappointment will linger for a while. While Harvick and Truex have to be happy about advancing, we’ll shine this spot on some others. Jamie McMurray is looking for work in 2019. 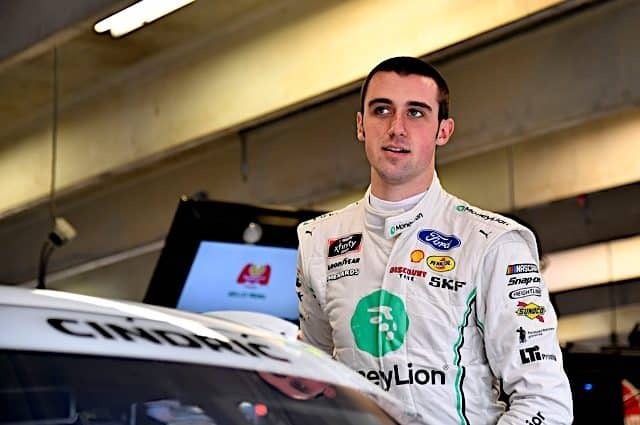 Sunday, he came home in the sixth place, which is his third best finish of the season behind the ROVAL (second) and the first Texas race (third). McMurray may be done as a Cup driver, but he’s still a competitor and turning in a finish like this is a great way to go out. Speaking of drivers coming to the end of their careers, Matt Kenseth has made it sound like he’s done for good after this stint with Roush Fenway. He is running Homestead before turning over the reigns of the No. 6 to Ryan Newman. Kenseth is a champion and one of the most fun drivers to work with in the industry. It would be great to have him in the booth for one of the networks, but it doesn’t seem like that is going to happen. A seventh-place run, after winning the same race last year, is a good effort by a great guy. Kyle Busch won his 51st race of his career in his 497th career start. 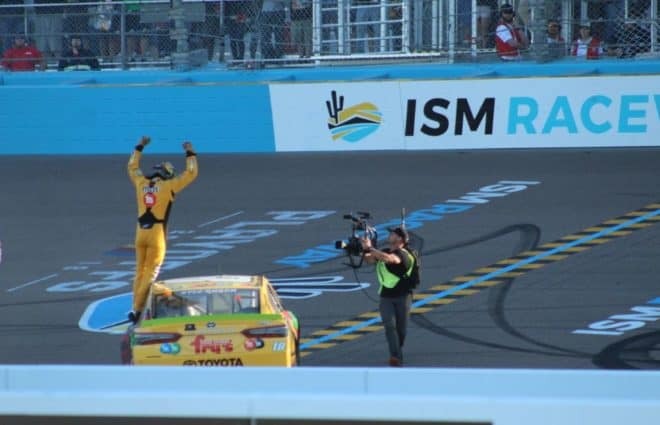 This is Busch’s second career triumph at Phoenix. On the season Busch has eight victories, tied with Kevin Harvick for most in the series. 51 career wins ranks Busch eleventh on the all-time list, three behind Lee Petty for 10th. Brad Keselowski crossed the line in the second position for his sixth top-two run of the year. It is Keselowski’s best career finish at Phoenix. For his career Keselowski has 24 second-place finishes. That ties him for 33rd on the all-time list with Carl Edwards and Marvin Panch. Kyle Larson rounded out the podium with his 10th top three run of the season. Larson has three career top threes at Phoenix. On the all-time list, Larson has 37 podiums which ties him for 61st with Curtis Turner. 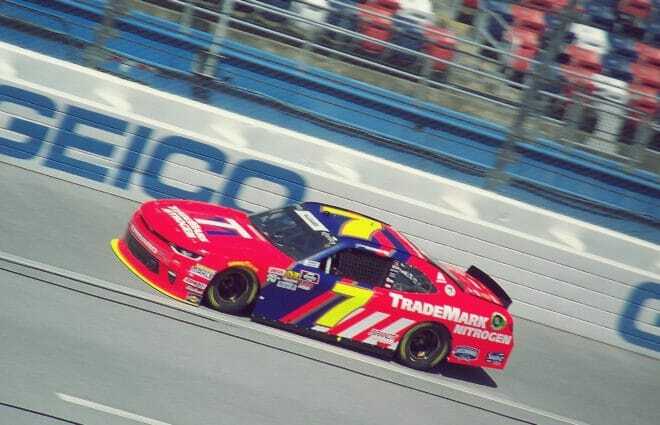 William Byron claimed the Rookie of the Race award for the 22nd time this season thanks to hisninth-placee finish. 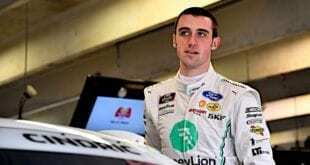 According to NASCAR, he has clinched the Rookie of the Year award. For the year, Byron’s 22 awards are nine ahead of Darrell Wallace Jr.’s 13. It is down to one race, winner take all. The final four is set. Joey Logano and Kyle Busch advance to the final race thanks to victories while Kevin Harvick and Martin Truex Jr. point their way in. Now that it is finalized the one who finishes best out of those four will hoist the big trophy next week in Homestead as the 2018 series champion. The point standings heading into Homestead below will give you an idea of where the race is for fifth on back. There were a million twists and turns that brought all of the final eight into contention to win at one point in time during the race. In the end, it was exactly who everyone thought would make it to Homestead. The bottom line was everyone was entertained. The race was undecided until the final handful of laps and the strategies and penalties tied everyone up in knots who was watching the race. When it is all said and done this one garnered five ice-cold Biltmore Blondes from The Phoenix Ale Brewery. It all comes down to this. The final race of the 2018 season will take place at Homestead-Miami Speedway next Sunday evening. Coverage begins at 2:30 p.m. ET on NBC. The action can also be seen on the NBC Sports app. If listening is your preference you can hear it on your local MRN affiliate, www.motorracingnetwork.com or SiriusXM NASCAR Channel 90. In-race commentators and Bowyer’s post-race comments suggested that the teams, using lower left-sides air pressure, might be responsible for the left side tire flats, to include the left-rear flats. I assume, since Tony Stewart is not complaining about the tire manufacturer, that there might be something to the teams’ complicity in the flat tires. Should anyone be concerned with the two fires seen in/on cars at Phoenix? I do not know how to prevent such (I get the feeling the fires were due to oil, and not gas, but I am not sure), but I cannot help but think someone eventually will be seriously injured by a car fire (how many drivers wear the maximum allowed fire protection? I have seen pictures of Kyle Bush and Danica wearing a balaclava, but I am not sure how any other drivers wear such. My fear is a driver could be concussed or injured and would not be able to timely extricate from a burning car). Will Mr. Neff have an article later this week on an interview with a crew-chief about the peculiarities of Homestead? The interviews from earlier this year about various tracks were interesting. Tech Talk is now an audio presentation on our Patreon platform. It gives a more realistic view into the crew chiefs’ minds when you hear what they say rather than read it. If you have the chance to check out our Patreon page I believe you’ll enjoy it. 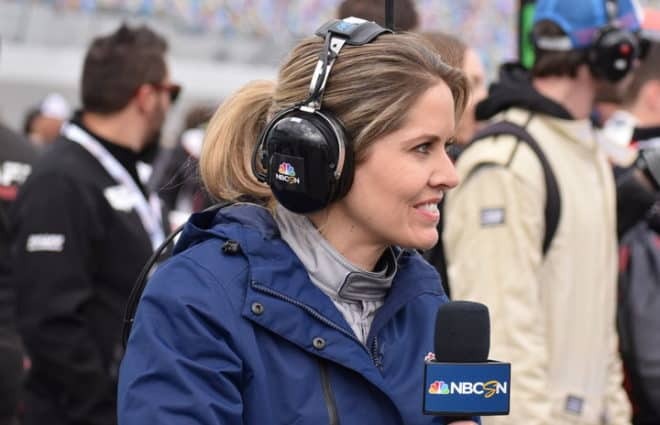 I have some major plans for it in 2019 that will hopefully not only include crew chiefs but drivers, crew members and hopefully owners speaking on a myriad of subjects and topics facing the sport. That was an entertaining race to watch. Never has there been so much drama to arrive at the place everyone expected to be (Logano + the big 3 in the championship race). How about that, if enough drivers shoot themselves in the foot, the race is entertaining regardless of who ultimately wins. Who knew? I was sure hoping that Almirola would rise to the occasion and pull out the win but it wasn’t meant to be. Either way, his season can only be assessed as beyond expectations. Likewise with Elliott. As much as I don’t like Hamlin, and as quick as I was to blame him for taking away Busch’s and Elliott’s championship hopes, I have to give him credit for racing hard against the precious chase guys and not getting out of the way. Although IMO he pushed his car beyond what physics would allow and he should have known that. Bill B – when i’ve seen the 10 car run this year like it has, i can’t help but think back about the previous driver and all the issues with the car, except the driver! Same here Janice. I think back to all the Danica fans that defended her abilities when the rest of us were calling a sub-par driver a sub-par driver. Not too many of them would be able to make that case after what Almirola did this year. I started to make a comment about engineering effecting the speed of race cars and than asked myself why. 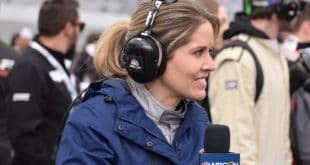 Danica has been gone a year and people are still talking about her. Most race drivers don’t get that so I guess she did have an impact after all. Yeah right. If she had any impact it was a negative impact. You seem to have problem every time someone says something negative about her. Too bad, deal with it. No, what I have a problem with is the singling out of one individual as if they were the only well funded driver driver to be less than successful in the sport. Otherwise I could care less. She got jammed down our throats when she should never have got that ride. She didn’t deserve it and the only reason was the money she brought in. I’m sure she refers to Aaron as Mr. Danica Patrick. no argument from here. Just not the only one. 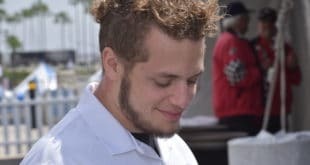 The current trend seems to be towards nepotism, or family connections. Just as bad in my opinion. Was there anyone that you can name that was even less successful than her over a 5 year period? Assuming the top tier teams are SHR, JGR, Penske, and Hendrick, I can’t think of anyone with such dismal stats (top 10s, top 5s and wins over 5 years, points finish). There have been a few that didn’t make it past a couple of years but I can’t think of anyone that finished 22nd or worse for 5 straight years on any of those teams. Feel free to throw a name out there. I think you are right. When I come up with a name for your under performing list, I can remember that they had a race they won or come in second. Are RCR & Roush-Fenway not considered top tier teams anymore? so the championship is down to the 4 that everyone thought would be going after the title in homestead. the tv commentators were mentioning that if busch let almirola win harvick would have been outside looking in at homestead. so something will happen to logano on the track next sunday and then the remaining 3 will fight it. just seems very vanilla to me. Not mentioned here is that another Richmond 2013 Spingate scenario could have played out. The race winner admitted the thought crossed his mind to let Almirola pass him to potentially take the win and shut Harvick out. While Almirola may not have held the lead anyway, this speculation is nevertheless troubling.